The federal government yesterday suggested breakthrough in negotiations with the striking university lecturers. The lectures under the umbrella of Academic Staff Union of Universities (ASUU) started an indefinite strike on November 5, 2018, after the failure to reach agreement with the government over their demands. The strike has disrupted activities in universities across the country. While both sides have continued to hold talks, nothing much has come out of them. After quite an impressive 2018, Otunba of Street, Slimcase kick start 2019 with a brand new single titled “Azaman”, produced by hit maker, Cracker Mallo. 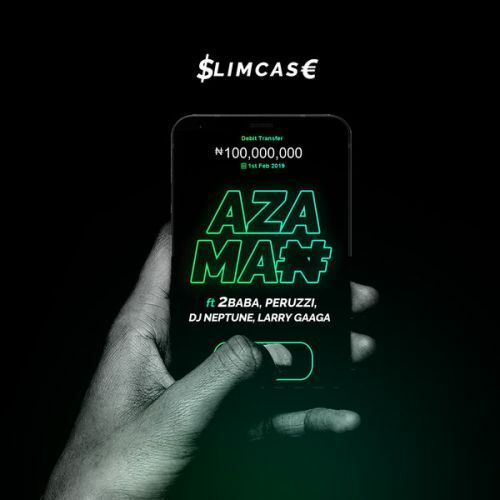 Slimcase aka Otunba Lamba teams up with music Icon, 2Baba, DMW’s vibe machine, Peruzzi, 2018 award winning DJ, DJ Neptune and Gaaga Musik boss – Larry Gaaga to serve us with this smashing tune he tagged “Azaman“. 2Baba and Peruzzi sure did another magic with this hit just like “Amaka“. This Cracker produced record has got full potentials that will definitely buzz speakers and turn into the new street anthem. 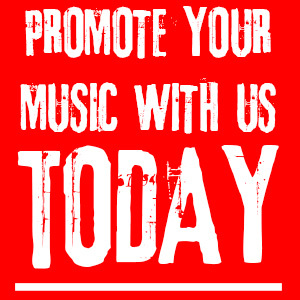 Update your playlist and share your review below. There is no doubt that Mac Fabulous is one of the top artist in Nasarawa state presently. Ever since he came to limelight he never stopped dishing out good tracks... WHY is a hit. Download it and enjoy! "God is not a man that He should lie; neither the son of man, that He should repent: hath He said, and shall He not do it? Or hath He spoken and shall He not make it good." 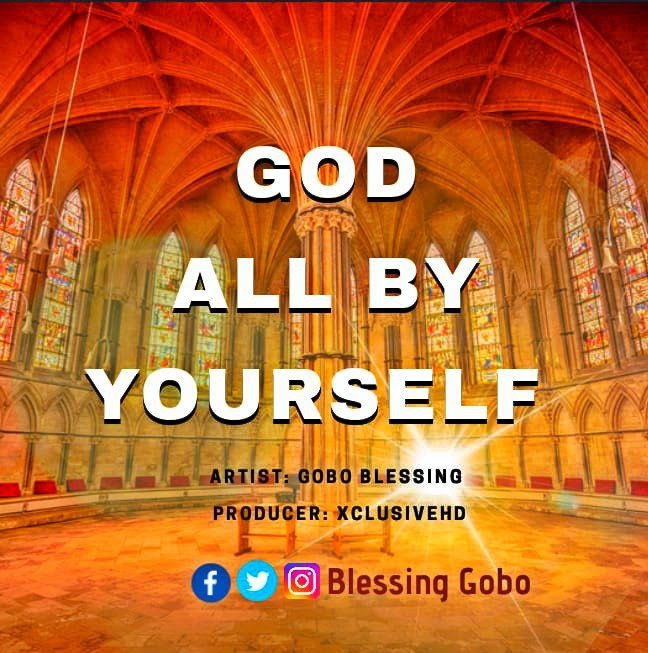 The song is soul lifting and Spirit filled, the lyrics and style of delivery is top notch and it is a song that helps you through difficult times. Overall, God all by Yourself is a good worship song for extolling God in His Mightiness. 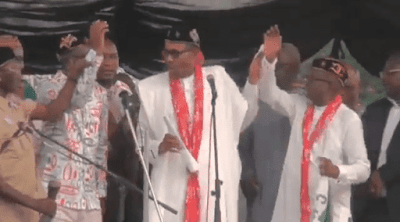 There was mild drama in Calabar, the state capital of Cross River state after head of states, President Muhammadu Buhari could not recognize the All progressive congress APC gubernatorial” Candidate for the state and presented the wrong person. According to a source present at the event, there was a massive turnout as over 1million residents of the state came out to give their supports. It was gathered that some groups in cross river state have drum support for the presidential candidate, President Muhammadu Buhari of the All Progressive Congress, APC adding that he is the right choice to take the country forward. Here’s a video of PMB making a mistake of presenting the APC gubernatorial candidate for Cross River State. Two weeks ago, the National Economic Council (NEC) approved a 10-year National Livestock Transformation Plan (NLTP) expected to gulp N91 billion. Necessitated by the bloodbath that characterized the subsector as a result of crisis between the crop farmers and pastoralists, the plan is a product of collaborations between the Federal Ministries of Agriculture and Rural Development, Interior, and the National Economic Council headed by the Vice President with all the 36 state governors, ministers of FCT and Finance and Planning as members. If the plan works as planned, the strategy is expected to deliver investment returns of N2 trillion to the Nigerian economy, the investors and the farmers; it will generate huge jobs and income along the value chain. By the end of the 10-year plan (2028), the subsector will be worth N8.16 trillion, representing 2.56 times growth from its current N2.9 trillion GDP value to the economy. According to the National Livestock Transformation Plan (NLTP) 2019-2028, in phase one, the plan will support development of grazing reserves in each of the seven pilot states of Adamawa, Benue, Kaduna, Nasarawa, Plateau, Taraba, and Zamfara which suffered greatly from the bloodshed, with four ranches (small, intermediate, medium and large) in each grazing reserve. Ranchers, smallholder herders and investors will then bring their cattle to a fattening ranch site where cattle would be fed with high quality feeds and provided with water for 150 days to boost average weight from 200-250kg to 450-500kg. The fattened cow is sold to a slaughterhouse located near the ranch or within the ranch premises. Each feedlots will house about 3000 cattle per cycle with two cycles per year with each cow gaining an average of 1.2-2.5kg daily depending on its breed. At the point of slaughtering, a cow is expected to weigh between 400 to 450kg after the 150 days and can fetch around N350,000 on average for the farmer at N900 per kg. According to the plan, funding would be provided to cover the cost of fattening. Once cattle are enrolled in the programme, the asset owner will sign an agreement with the lender to allow for all cattle to be sold at specified weight range. Upon sale, lender deducts the cost of fattening from realized value, and cattle owner keeps the remainder of profit, minimizing risk and upfront investment,” the plan indicated. Dr. Andrew Kwasari, the Advisor, Agriculture Interventions Coordination, Office of the Vice President, said the implementation of the project will begin immediately. He added that relevant stakeholders and investors will be meeting today at the banquet hall of the Presidential Villa to discuss further action. “The cost of investment will be shared by various parties, with the federal and state governments providing catalytic capital to support a range of public goods even if the elements of the benefit are captured privately. The remainder of the capital will come from the private sector and donors,” the document said.